A Porsche…station wagon? Yes, believe it or not, the legendary marque is developing its very first station wagon. Don’t worry, Porsche isn’t turning its back on performance cars. The automaker’s simply expanding its range. 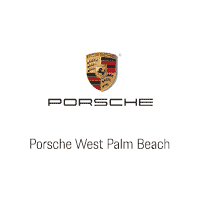 The wagon is built on the Porsche Panamera 4-door coupe design. This is good news, as the Panamera is a joy from a performance standpoint. After all, you wouldn’t expect Porsche to make a station wagon that didn’t perform like a sports car, would you? Let’s remember this is the same Panamera that jets from 0-60 in just 4 seconds and boasts a 440 horsepower twin turbo V6. That gives it acceleration and performance at speed that should convert pretty easily to a wagon remodel. No, this isn’t your grandma’s station wagon. The Porsche Panamera’s true success, however, rests with how this power is mapped and handled. Its eight-speed dual-clutch ensures shifts are fast and responsive, while its all-wheel drive allows the Panamera to navigate with precision and retain control in tough terrain and inclement weather conditions. That’s the perfect attitude on which to build a station wagon variation. Station wagons are also meant for comfort, and here the Panamera provides a very good foundation as well. With 7-inch screens flanking the instrument cluster, the Panamera makes it easy for the driver to control the car – both inside and out. A 12.3 inch touch screen in the center dash allows driver and passenger to play with the infotainment, navigation, and app platform to their heart’s content. 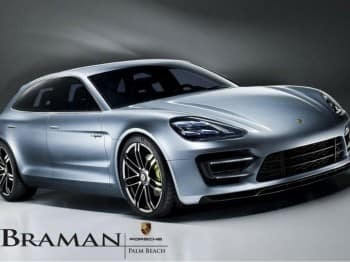 This isn’t the only new territory the iconic brand is exploring – you can also expect an all-electric Porsche Panamera in its sports car line-up by the time 2020 rolls in. A hybrid model is expected very soon as well. It’s a wonderful feeling to find a new Porsche for sale. When you encounter the Panamera, make sure to ask about it and see if you can take it for a spin. It merges a coupe’s performance with four-door accessibility and space beautifully. We’ve never been so excited to get behind the wheel of a station wagon.